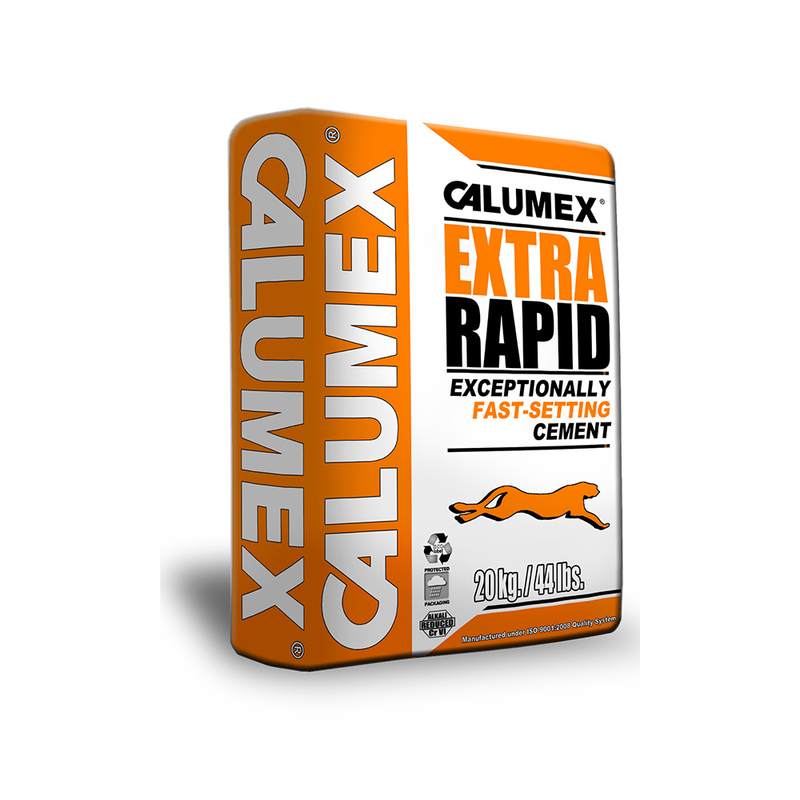 Calumex Extra Rapid | Caltra Nederland B.V. EXTRA RAPID® is a blend of grey or white Portlandcement and CALUMEX® QUICK to combine rapid set with rapid hardening. It is an ideal binder for repair and maintenance in building work where rapid setting and rapid hardening properties are beneficial, eg, concrete, mortar, rendering and floor screed repairs. EXTRA RAPID® is mixed in the same proportions with fillers like sand and gravel as standard with normal Portlandcement. Due to the rapid setting properties of Extra Rapid, it is recommended that it is placed as soon after mixing as possible.